Many years’ experience in the industry has made fibo intercon a leading supplier to the global concrete industry. We manufacture and deliver both mobile, semi-mobile and stationary concrete batching plants as well as production equipment and complete concrete systems. In our production, we only use state-of-the-art technologies and methods to ensure our customers the best quality, efficiency and reliability. fibo intercon strives to provide quick and competent service. We have, therefore, developed our own representative network in several countries, and our service technicians are ready to go to your place and help you with the installation and servicing of your batching plants and with the training of your employees. Find out more about fibo intercon’s strategy and history on these pages. Fibo intercon a/s is internationally recognized as your partner in concrete solutions focused on product performance. as integrated systems based on modularity, technical skills and organizational competences ensuring performance and environmentally friendly on-site construction, providing long-term financial benefits. Fibo intercon has been in existence for more than 70 years. It started out as a repair workshop, but for the last 40 years the company has been developing and manufacturing different types of machineries. On these pages you can find out more about fibo intercon’s history and development. Click on the time period you are most interested in or read our whole history from beginning to end. Fibo intercon adapts to the difficult market situation by seeking new markets and finds new customers especially in North Africa. The company also develops a new F2250 semi-mobile batching plant and a new production plant for the manufacture of insulating blocks. Fibo intercon grows rapidly after the acquisition of Inter Con and is designated a high-growth company (Gazelle-virksomhed) in 2006. The growth continues over the next two years, and the number of employees rises steadily. In 2008 fibo intercon is among the 252 Danish companies on the shortlist for Entrepreneur of the Year awarded by accountancy firm Ernst & Young. Fibo intercon develops two new mobile and semi-mobile batching plants. In 2004 the first winter plant is developed specially designed to mix concrete at temperatures as low as – 40 ºC. The year after the company develops a mobile dosing station designed for dosing aggregates at temperatures between 30-60 ºC. 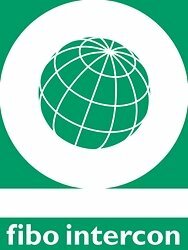 Fibo maskiner a/s acquires the Danish company Inter Con which is a reputable supplier of mobile batching plants. Inter Con moves to the address in Videbaek and the Inter Con employees who want to move follow too. At the same time, the company is renamed fibo intercon a/s. Optiroc A/S sells fibo maskiner to a group of employees. fibo intercon thereby becomes an independent limited company. Fibo A/S is divided into Fiboment A/S and Optiroc LWA. fibo maskiner runs under the latter and changes its name to Optiroc Fibo Maskiner. The company is the only factory left in the machinery division. Fibo maskiner moves to the Danish town Videbaek. Norsk Leca buys the majority shareholding in A/S Fibo, which changes its name to Fibo A/S. The company starts intensive expansion in the following years. For fibo maskiner this means expansion of production with a new workshop, a new painting cabin and a new armouring facility. A/S Fibo is divided into independent divisions. The repair workshop that later develops into fibo intercon is given the name of fibo maskiner. In the same year, fibo maskiner purchases the company, Videbaek Specialfabrik. fibo maskiner then becomes a reputable supplier of machinery and plants for the concrete industry in Denmark and for export. Production of light clinkers in Fiskbaek is discontinued. A/S Fibo sets up a new pre-fab factory in Fiskbaek. The repair workshop develops the roller and concrete spreader machines for the factory. In the middle of the 1960s, a pre-fab building element made of Fibo Lerklinkerbeton is developed. The repair workshop plays an active role in the development of a production concept and the production equipment that is to be used for the manufacture of the new whole-wall building elements. It turns out, against expectation, that there are only limited clay deposits in Fiskbaek. For a period the clay is therefore brought in from other locations in Jutland (a Danish peninsula). With time this however becomes unprofitable due to the distances involved. The production of FiboKlinker is therefore transferred to the plant in the Danish town, Oelst, where clay deposits are larger. Demand for brown coal and peat declines through the 1940s and the company has to rethink its business. Management decides to start production of clay clinkers and sets up a new clinker factory associated with the briquette factory in Fiskbaek. 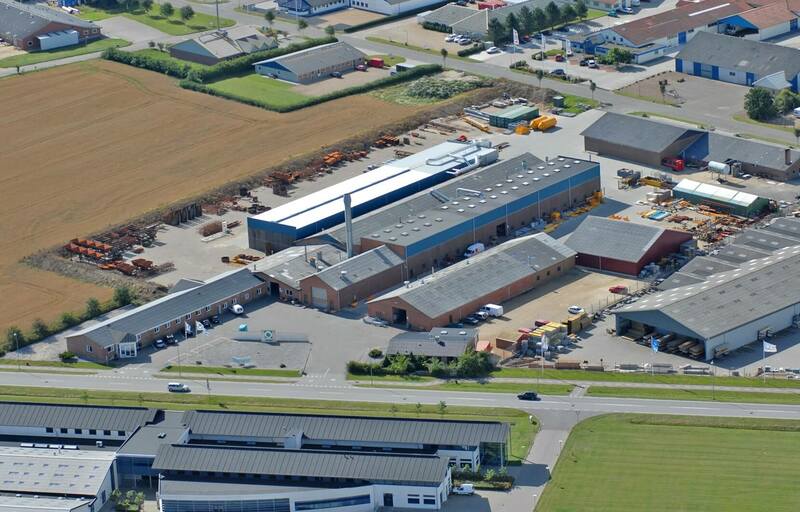 The company changes its name to A/S Fiskbaek Betonklinkerfabrik. The later fibo intercon continues as a repair workshop associated with the briquette factory. The company starts as a repair workshop associated with Fiskbaek Briketfabrik (later A/S Fibo). Production at this time is concentrated on brown coal and peat. We are ready to provide a support like never before. Click the button below and get your estimation.